So true! 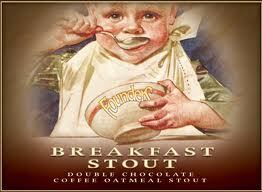 Founders is outstanding, and there Breakfast Stout is potent, rich, and delicious. Although I normally stick to whiskey, everything Founders makes is brilliant. Their breakfast stout is top notch. Full-bodied and complex all the way through. Absolutely! I don’t drink much beer either, honestly. But when I do, I try to make it the best beer I can find. This is one of them!